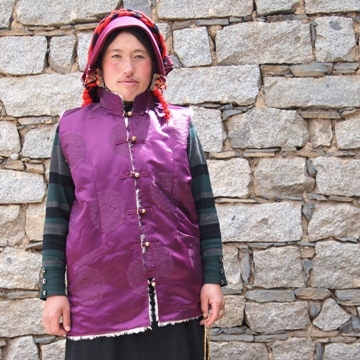 This vest is commonly worm by both men and women in Lhagang, where it is hand tailored. The cloth is polyester and faux-lambskin. 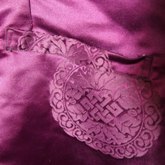 The buttons are handmade in Lhagang of brass.